Stringerless foam blank, Volan glass with Double diamond deck patch 1 3/4'' rail overlap. 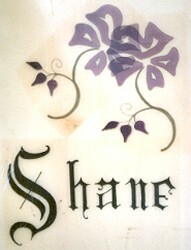 Shane, black Old English text and double flower graphic, black and blue. Purchased at garage sale (Sydney?). The markings D.Y. 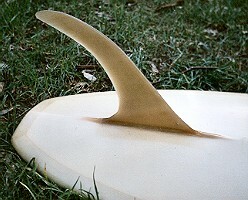 on the pod may indicate the shaper as possibly Peter Cornish from Dee Why, one of two Peter Cornish's employed by Shane Surfboards in this period. The double decal is probably not a fault, but an attempt by the glasser to vary the design.